Take one more child along for the ride! 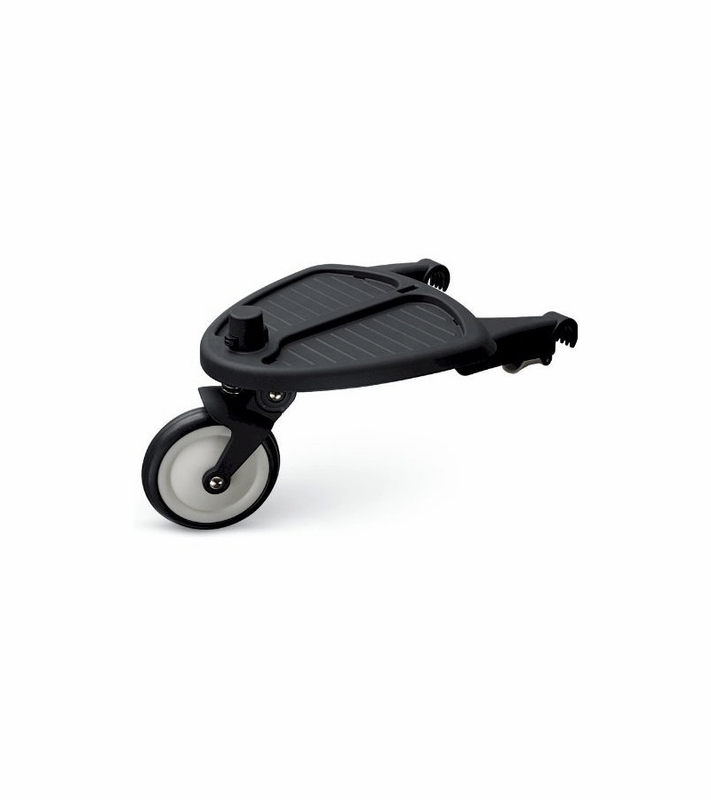 The wheeled board is compatible with the Bugaboo Cameleon, Bee, Frog and Gecko strollers, and can be attached to the Donkey and Buffalo with the help of an adapter. 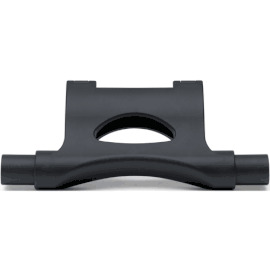 Attaches to the axle of a Bugaboo stroller with just two clicks. Great and easy item with a toddler who isn't in for a walk all the time! you can put it up when you don't need it! I have 3-year old toddler and 5-month old baby. I can't use double stroller because my toddler doesn't like stroller and my car is small so I don't have enough space to carry it. So I bought this wheeled board. My toddler really love it and I can carry two kids without any difficulty. 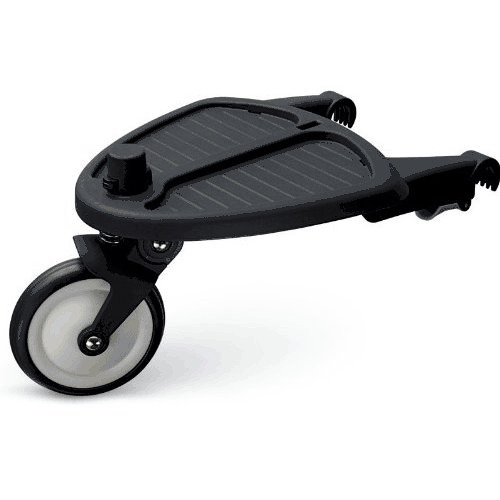 When I push my bugaboo frog with this wheeled board, many people ask me about this item and envy it. It is really genius item!